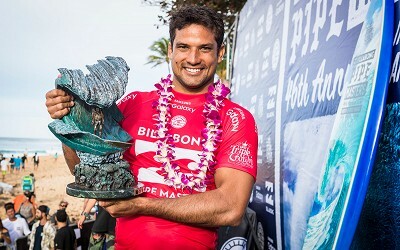 Coming off a huge Quarterfinal win where he sealed Zeke Lau's Samsung Galaxy Championship Tour destiny, Kanoa Igarashi's heroic Pipe Masters run seemed to be ending in the Semifinals. 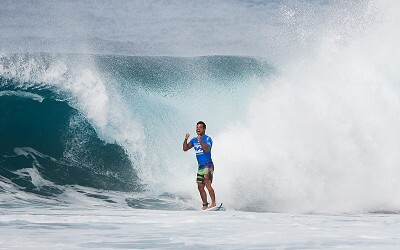 With just a minute remaining, Kelly Slater had the rookie against the ropes needing a solid 8.33 to take the win. 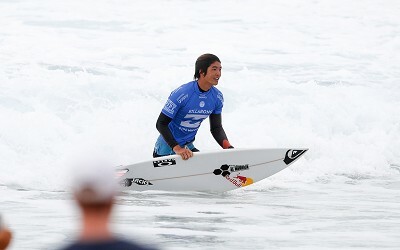 But when a clean Backdoor teepee swung his way in the dying seconds, Igarashi took full advantage. 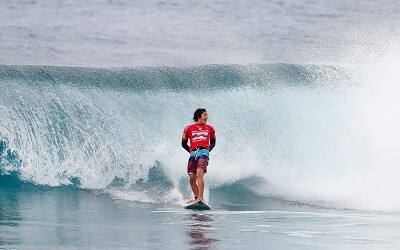 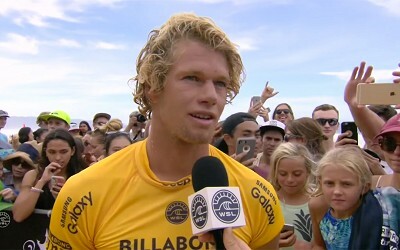 His massive 8.83 on this wave pushed him through to the Finals.